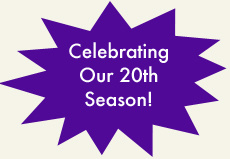 West Chester Summer Stage is thrilled to celebrate 19 years of providing the most exciting summer theater program experience in the Chester County area. We hope you'll become part of the magic. receive information about our next season.